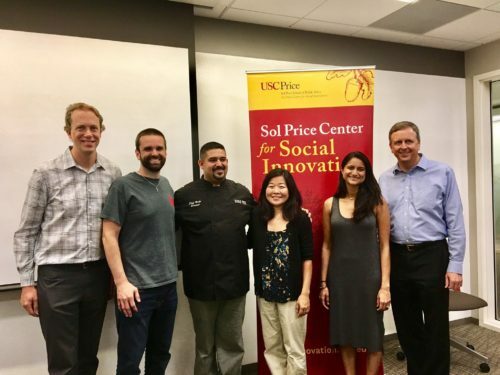 Delicious Social Innovation profiles the work of three social enterprise start-ups: a healthy, affordable restaurant in South LA; a healthy market and café in South LA; and a pizza restaurant in West Long Beach that uses culinary training as a path to opportunity. Come get a taste of social innovation as these remarkable social entrepreneurs share their stories and culinary creations. Executive Michael Martinez and CEO Becky Teter lead 5000 Pies, a social enterprise of Fountain of Life Covenant Church in Long Beach. Raised amidst the gang lifestyle of Santa Ana and trained at Le Cordon Bleu, Chef Mike envisions culinary training as a path to opportunity. Becky grew up in inner city neighborhoods in Los Angeles and has years of experience in urban ministry and community development. 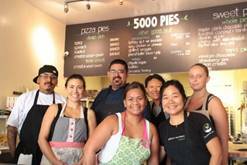 5000 Pies serves hand-crafted Long Beach style deep dish pizza and sweet pies and seeks to transform the lives of young adults in West LB through culinary employment and life skills coaching. Andrew is Founder and CEO of With Love Market & Café, a social-enterprise serving the residents of Southwest Los Angeles. With Love believes that all people, regardless of income, race, social status, location, language are all equally valuable and inherently deserve the same access/opportunities as any other. With Love Market & Cafe also has a non-profit arm called With Love Community Programs. A portion of the profits from the Market & Cafe will be reinvested into the community through Community Programs. Anar is VP of Marketing for Everytable. Anar first gained extensive product marketing skills working with startups to build online consumer experiences. With a strong desire to create a lasting community impact, Anar began volunteering with the team in 2015, and later joined full time. Prior, Anar worked in advertising at BBDO Worldwide in New York and PayPal in the Bay Area. 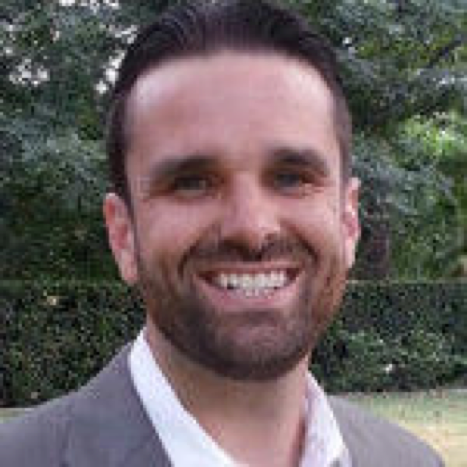 Anar is a graduate of University of California, Berkeley with a Bachelor’s degree in Industrial Engineering and Operational Research.